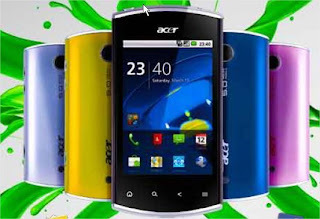 Today Acer launched its Android 2.2 Froyo Liquid Metal Smartphone in India, Liquid Metal has a very cool looks and full metal body which has been carefully designed keeping in mind the current requirements of today’s modern and stylish Generation who are always connected to their Social Networking profiles. 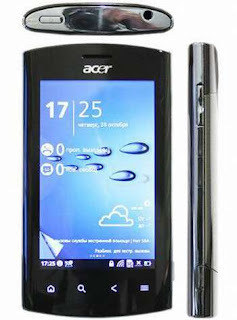 It is equipped with Qualcomm’s Snapdragon Core processor (800 Mhz) for better processing power. The Liquid Metal is equipped with a curved 3.6” display with a TFT capacitive touch screen aimed at providing users with a fast, responsive, multi-touch control of the phone. Measuring 115 X 63 X 13.5mm inches, the curved back gives an exceptional look to the phone enabling the users to slip the Liquid Metal easily into ones pocket or in ones hand. The Liquid Metal utilizes HSDPA for on-the-go Internet access at speeds upto 14.4 Mbps as well as WiFi allowing data transfer 10 times faster than previous SmartPhones. The LED signal on the upper part of the telephone notifies the user of missed calls, the need to charge the battery, and new incoming messages clearly. 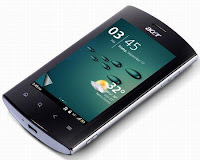 The Acer Liquid Metal is available in India at price Rs. 20,500 and the smartphone is available in the all leading mobile stores in India.